Well, I just took down my work from the “Assembled” show at the Bush Barn in Salem. Everyone is now safely back here at home. For whatever reason I have a very special relationship with this particular piece that was in the show, and I’m not quite sure why. The bronze dog in it was cast a couple of years ago three times, and this is the last version of it I have. It seemed appropriate to have him be my central living character in the piece. 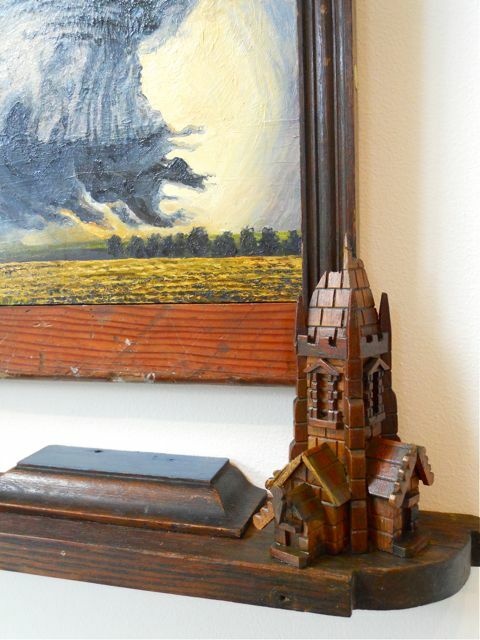 It does seem like in this work there is a nod to the regionalists like Thomas Hart Benton and Grant Wood, and perhaps my mom’s Kansas roots are showing up in this one. She was a woman who adored windmills. When negotiating a title for this work I was thinking of my dog, now a year old and the standard phrase that perhaps even God has been communicating to me as of late. 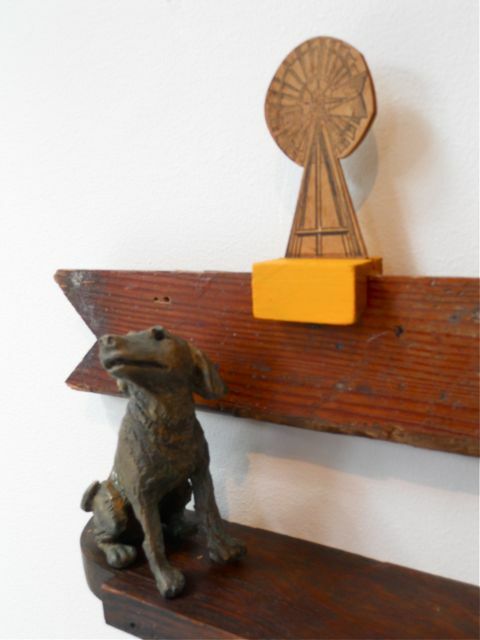 "Stay" detail of the bronze dog and windmill. Sorry that it's a bit burry- must photograph this again. 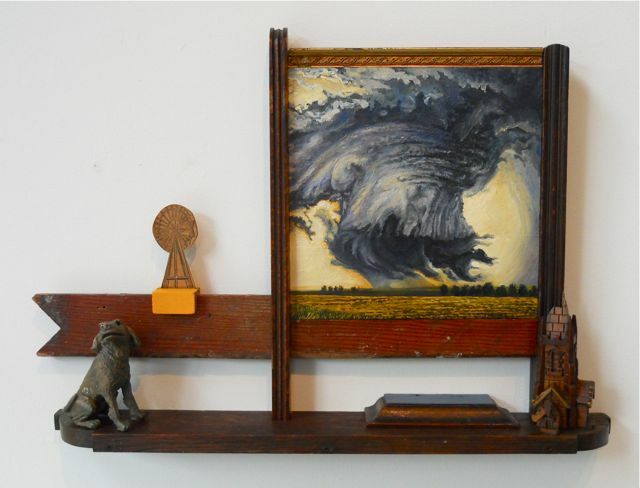 This entry was posted in Art in the Works and tagged assemblage, bronze dog, Kansas painting, mixed media, stay art, thunderstorm, tornado, tornado painting. Bookmark the permalink. I love the movement and texture of the painting portion. There is such a lovely flow that your eye must follow from the storm to the windmill, the dog, the church and back around again!